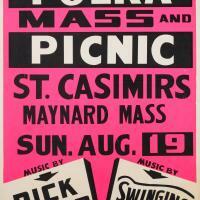 A social and religious event on Sunday Aug. 19 presumably at the church and hall. Wide format group portrait in front of St. Casimir's Roman Catholic Church (Great Road). 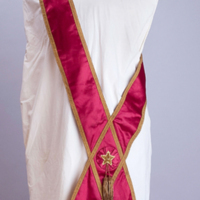 Titled: 1911 NA PAMIONTKA SREBNEGO IUBIELEUSZA ZALOZENIA TOW W.P.M.B.L.Z. Maynard Mobile in the foreground. 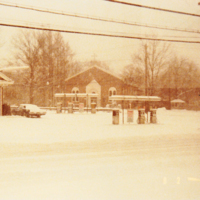 The picture was taken in front of St. Casimir's Church. 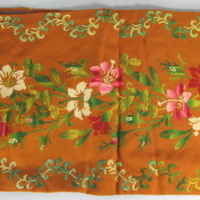 One altar cloth is hand embroidered. One altar cloth is linen with crocheted edging, with matching chalice cloth. All from St. Casimir's Church. 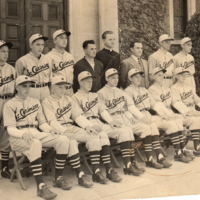 A photo of the St. Casimir's baseball tem, 1939-1942. 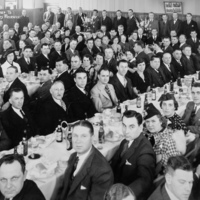 Top row, second from left: Waslaw Michael Lankiewicz. Lankiewicz was born in 1924.He is buried in Glenwood Cemetery inn 1988. 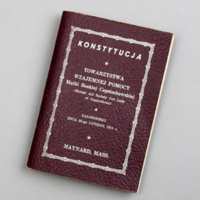 A booklet that outlines the Society's Constitution and Bylaws. 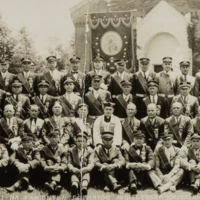 The Society was founded February 26, 1911 in Maynard, MA. 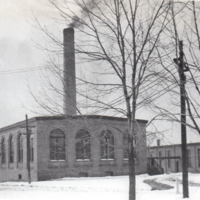 The electricity to run the trolley was generated in this building. 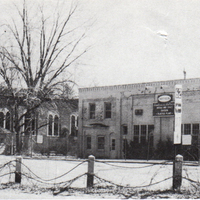 It was a brick building with iron trusses, 48 by 120 ft., covered with a wood roof overlaid with tar and gravel. 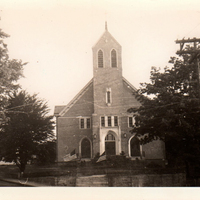 The churches as seen on Memorial Day, May 30, 1946. 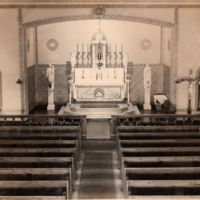 A report of donors and donations to the St. Casimir Roman Catholic Church. Year unknown. 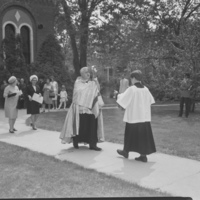 File folder for Father Louis S. Bilicky. 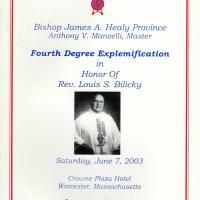 A file with the 25th, 40th & 50th Anniversary booklets of the Ordination Father Louis S. Bilicky. Other related information about Fr. Bilicky is included. 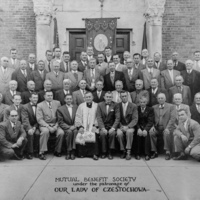 A file of information about Parish Priests, Church Bulletins, Anniversary brochures, financial reports, Church Mass bulletins, newspaper articles, and other miscellaneous information. 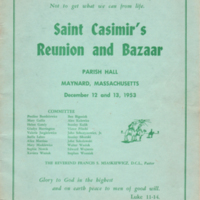 St. Casimir's Anniversary Programs - 1952, 1962, 1972, 1987. St. Casimir Roman Catholic Church. 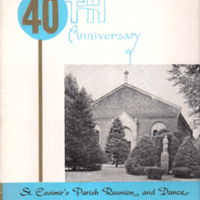 Programs for the St. Casimir Roman Catholic Church Anniversaries. 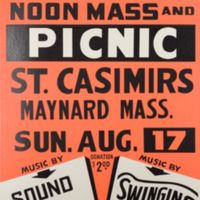 Programs contain local sponsors, photos of priests, church affiliated societies, a dated chronology of Parish milestones, and a list of Patrons and Patronesses. Programs contain a listing of Parishioners and their donations; time of Confessions and Masses; Prayers; and local paid sponsors/advertisers.